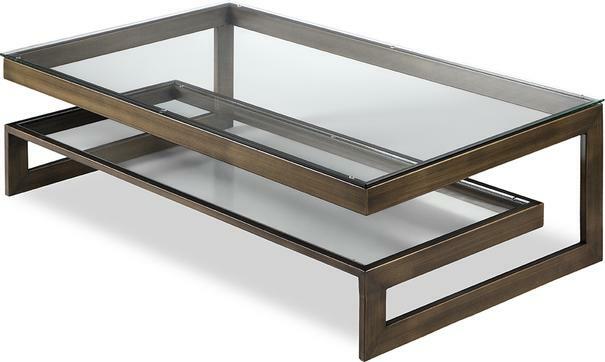 When it comes to modern style, the Ziggi Coffee Table is one of the best. 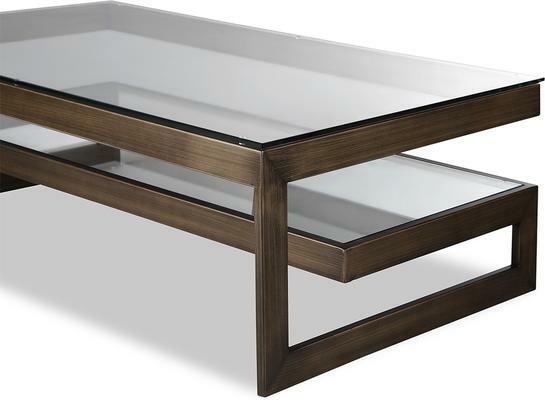 Showcasing a combination of modern elegance and contemporary classic look, this coffee table is crafted with a stainless steel frame, powder coated in a gorgeous dark brown shade, bronze or polished steel. 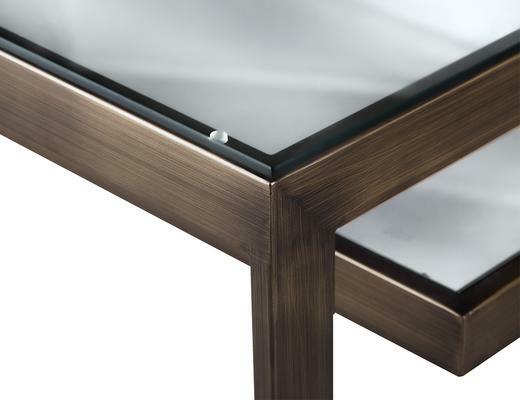 The top surface and the supportive stylish shelf are then fitted with toughened glass to provide durability as well as provide a seamless view of the zigzagging frame underneath. Highly recommended for modern interiors or office lounge space, you'll love the function and style this lovely table has to offer.